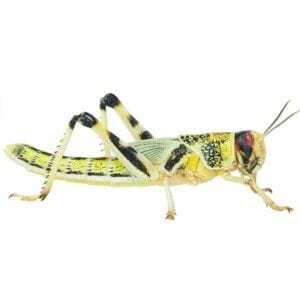 Crickets, mealworms and Locusts are still the number one best sellers where livefood is concerned. The following information mainly concerns these, however much of it can be used for other livefoods. One of the main problems when dealing with livefoods is when they have been sent through the post when delivered via mail order. The temperatures are very low during transit during the winter months. It also stands when the livefood has been left in the cold (say in the car when going shopping). One of the main issues causing loss is change of temperatures, it’s inevitable during the winter months, but must be done carefully. Do not warm the livefood quickly by applying an external heat source (for example placing in the vivarium, above a radiator etc). Place the livefood at cool room temperature, then progress over a couple of hours to a warm room temperature. Livefood should not be shocked by a sudden increase in temperature. At this time of the year, some deaths due to changing temperatures will be inevitable. It is very important to remove any dead bodies as these create a moist environment, which in turn will kill more livefood. 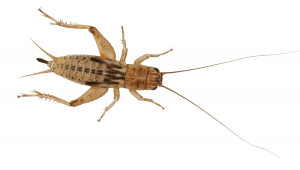 A tub of crickets for example can quickly all die if allowed to get moist. Once warm provide a good quality gut loading livefood food, and a water substitute gel for drinking. A change of housing into a clean well ventilated holding tank such as a purpose designed cricket keeper, filled with scrumpled newpaper will provide ideal housing. 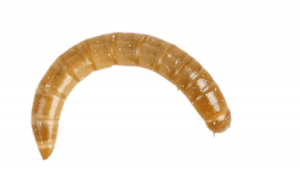 Mealworms will always last longer if provided with a bran based food they can burrow into. Keep at a constant average room temperature of around 16-20C.